October is Breast Cancer month, but I am happy to show my support year-round. KitchenAid food processor, mini food processor, toaster, mixer, handheld mixer, & blender... and some kind of gumball machine or chopper in the back. 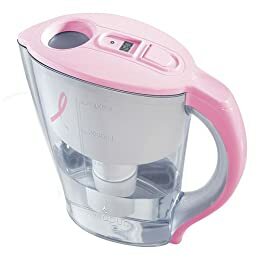 Brita makes a lovely pink pitcher which, like the pink KitchenAid products, benefits breast cancer research. Dyson makes a pretty in pink vacuum cleaner, sold only through Target, which gives funds to breast cancer research. 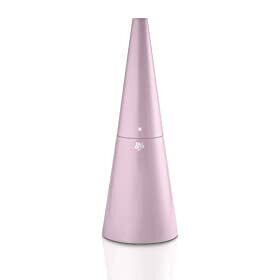 Kone also makes a pink handheld vacuum which is special enough that you won't need to hide it in the closet. 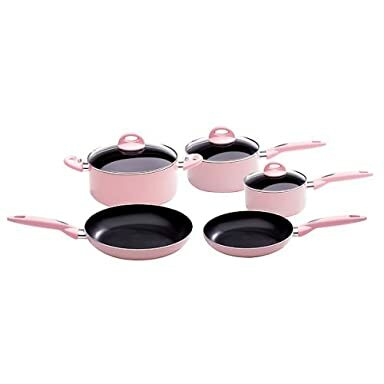 I have found pink pots and pans at numerous locations, such as Target, Marshalls, and TJ Maxx. 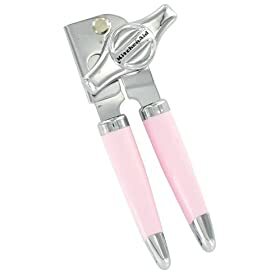 I was in Target on September 10 and there was an entire display of pink pans, spoons, spatulas, wine bottle openers, silicone mats, as well as other lovely kitchen necessities in pink. The best part? Everything benefits breast cancer research and screening!